A patient with special dental needs can be a person with physical, mental, sensory, or emotional conditions. These conditions include autism, Asperger’s, sensory disorder, multiple sclerosis, cerebral palsy, anxiety, visually impaired or blind. There is diversity with patients that find it difficult to go to the dentist. Special needs children, as well as special needs adults, need customized dental care to meet each individuals needs. We have the knowledge and understanding to provide a place for all patients to feel at home. By applying our knowledge and modern dental technology, we can deliver comfortable dental care. Our practice is dedicated to helping patients with special needs. Learn more about Dr. Siegelman’s advanced and comprehensive dental experience for patients with Alzheimer’s Disease in New York City here. 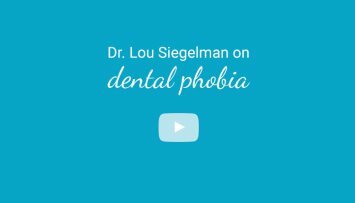 Learn more about Dr. Siegelman’s dental care approach regarding patients who are on the autistic spectrum here. Imaging – In addition to digital X-rays, we offer 3D imaging that provides us with more information about not only teeth but gums and bone structure as well. Carivu offers digital cavity detection with a compact device. Quiet Electric Handpiece – Less vibration and noise than conventional headpieces. Silver Diamine Fluoride can stop cavities without numbing the patient. If numbing is necessary, Oraverse is an option to reverse the local anesthetic (numbness) after treatment. Home Care Tool Kit – We will create an individualized home care program because prevention is essential. We will provide education on any nutritional issues and make product recommendations. Mi Paste is an example of an advanced product that can help restore and produce stronger teeth. Medication – Some patients can benefit from a variety of sedation options to help relax for dental treatment. Even with the most advanced technology we also focus on the basics. We have created a nurturing environment for patients to feel comfortable during dental visits. After Treatment Comfort – Ice cream, frozen yogurt or soup provided after dental treatment. We pay attention to the details and make sure every patient feels well taken care of and nourished. We want to help simplify oral care at home for special needs patients and their caregivers. Here are some strategies, tips, and products for providing better homecare and preventing dental problems. A tool for caregivers to help make teeth cleaning and brushing at home more productive with food and plaque removal. We have seen excellent results. A patient’s caregiver was having a difficult time with daily brushing at home. We were seeing the adverse effects of poor teeth cleaning because of the challenge of removing food from the patient’s teeth. Once incorporating the suction into the daily brushing routine, not only did we see the results of healthier teeth and gums, the caregiver was relieved that the process of brushing that has always been a challenge was much more manageable. A few tips from patients currently using this product. Use mouthwash in between uses to keep tubing fresh and to reduce the frequency of needing to change the tubing. While brushing, hold the suction near toothbrush to vacuum up any dislodged debris. This product is “a real game changer” with home care for special needs patients. Is this a tool that would benefit you or someone you know? Please reach out; we are happy to answer any questions and guide you along the way. You can shop around here to see if you can find any sales. An electric toothbrush is fast and efficient in removing plaque and cleaning teeth. For some patients, the noise and vibration are too much. In that case, we recommend a soft manual brush. You may need to start with an extra soft toothbrush, then upgrade to soft. A few tips for brushing. Try to distract from the brushing. Count to 10, count teeth, sing a song and take breaks. Try to keep brushing a positive experience. In addition to home care, dental treatment can also be challenging. That is why preventative care is so important. A product we highly recommend to many patients is Mi paste. It remineralizes teeth, helps reduce the occurrence of cavities and relieves tooth sensitivity. MiPaste is easy to use, comes in many flavors and provides many benefits for patients. Instructions for use: After brushing and flossing apply a nickel-size amount on a clean finger or Q-tip, rub over teeth and leave on the surface for at least 3 minutes. Do not rinse or brush off. If you have any questions, please don’t hesitate to call. Our NYC office provides solutions for a variety dental needs. We can help! These instructions are recommended by Dr. Siegelman and Dr. Currier for their patients. Individual results may vary based on the needs of each patient. Please give our office a call if you have any questions. Dr. Siegelman and Dr. Currier prioritize comfort and understand your dental needs. Our office is NYC’s dentist for special needs patients. Call our office at (212) 974-8737 or fill out a Contact Form here if you are located in New York City, Westchester County, Long Island, Rockland County, New Jersey or Connecticut and need more information, have questions or would like schedule an appointment.